Happy PUPPY LOVE Day! Have a PUPDATE! Today, to celebrate the puppy love, the Furever Home Friends have a BIG announcement! We are ready to introduce our THIRD CHARACTER! 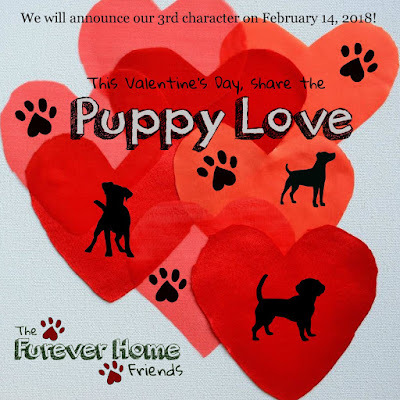 The Furever Home Friends series plans to add one to two new characters to our family each year. 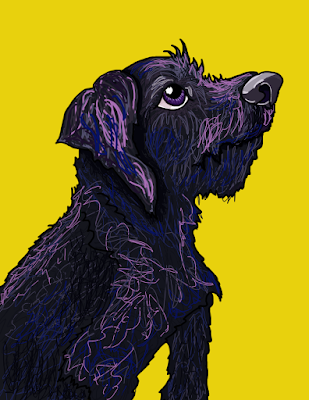 Every dog in our series has lived in a shelter at some point in their lives. So far, all of our dogs have already found their forever homes--but future dogs may be still looking! Wrigley loves to dance--she can shake her tail all around the animal shelter! But for some people, Wrigley's rhythm isn't enough. Wrigley is a mutt; no one knows what breed she is, or where she is from. While people visit the shelter searching for labs or schnauzers or Dalmatians, Wrigley wonders when it will be her turn. When will someone want a dancing dog? A dog who doesn't know what kind she is...she's just Wrigley! Wrigley's book, Just Me, Wrigley will be available summer 2018! We will announce a release date in the coming months! In the meantime, be on the lookout for fun videos, activities, and contests involving Wrigley. She's ready to have fun with you guys, and be your new friend furever! If you'd like to pre-order Wrigley's book, you can find it here on the Furever Home Friends website! As for future Furever Home Friends characters, we plan to release the 4th character around Christmas 2018, though no date is set in stone yet...and the 4th character has not yet been decided! It's still open! If you have a suggestion for a new Furever Home Friends character, please email us at fureverhomefriends@gmail.com, or put your suggestion in the comments below! Wrigley says, "Woof woof! Nice to meet you!" Happy Valentine's Day! Hope you're all showing your dogs lots of puppy love!